All change in Europe and France - or is it? Home » Buying in France » All change in Europe and France – or is it? All change in Europe and France – or is it? It is clear that recent events have caused a bit of a stir, to say the least, but our estate agents in France are still reporting ‘business as usual’ with offers being made and houses and holiday homes still being bought. Despite all the turmoil, the level of enquiries from Brits looking for a leisurely pace of life under the sun continues virtually as before. Certainly there are those that are waiting to see what happens in view of all the speculation, but at this stage it is just that – speculation. Who knows how it will pan out and whatever the resulting outcome, it will take time to arrive. What could possibly happen is a return to the system and processes that were in place before the European Union. 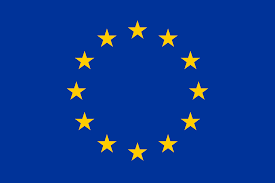 For example, travel insurance that covers you if you need medical treatment (if the European Health Insurance Card [EHIC] is no longer valid) for those with holiday homes and a ‘carte de séjour’, renewable every ten years, for those who are permanently resident – like everybody else who lives in France at the moment who is a non-EU national. But as the UK negotiates its way out of the EU, any deals are likely to include free trade and movement so it may not even be necessary. 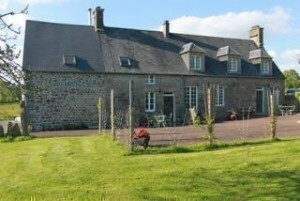 Here at 1st for French Property we have a few clients that waited for the result of the Referendum but most are not willing to wait the 2-7 years to see what, if anything, changes with regard to owning a property in France. Not forgetting France’s reputation for its slow policy changes, for example the archaic inheritance laws still in place today that were implemented by Napoleon. Nothing will change overnight. France is consistently the most popular tourist destination in the world and the French cannot afford for that to change. One thing is for sure, they are not going to shoot themselves in the foot and make it difficult for foreigners to buy property in France. On the contrary, their country’s economy relies heavily on tourism and the ex-pats who own properties here, doing up the character houses that the French don’t want. Foreigners who own a home in France bring wealth, employment and tourism. If anything, the French will bend over backwards to secure the British tourist pound! Of course, now is absolutely the right time to buy. House prices have bottomed out and are on the rise and the exchange rate, although it has taken a dip, is still higher today than it has been in the past. Exchange rates fluctuate all the time due to many factors and as all good investment advisers will tell you, what goes up, can come down. And vice versa. One way to get a feel for future exchange rates is to consult foreign exchange companies in London. Firstly they will tell you how they expect rates to be in 1, 2, 3 or 6 months, and if these rates should suit you, and your timing to buy in France, you can advance purchase Euros from them whilst being guaranteed these rates despite future market conditions. Very interesting opportunity to move into France with this ready to move into attractive main house with an income from the renovated 1 bedroom gîte in Charente . 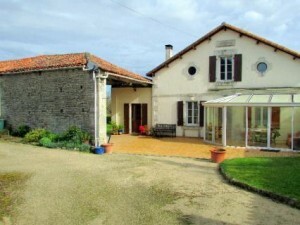 Very nice position in the hamlet 10 minutes drive from the market town of Aigre or Ruffec. Lovely mature garden with barn/open garage and above ground pool. All in good condition and retaining a lot of charm. €159,000 More info . . . This lovingly restored four bedroomed home is ready to move into and offers a two bedroomed gite for extra accomodation. Set in well maintained gardens. Garage with Attic Above, Outbuilding, Land in total of 5429m². €212,946 More info . . . So what has changed? Certainly not the long hot summers, wide clean beaches, excellent wine at affordable prices and gourmet food. Not the little café on the corner serving strong coffee and croissants, the bustling, colourful markets and certainly not the easy way of life that trundles along at a pace of yesteryear. Despite the political wrangling, everything continues and in the great scheme of things holidaying in France will never change. Those who dream of a place in the sun and a quiet, relaxed place to forget all their woes will still be looking to invest in property in France. ‘Plus ça change, plus c’est la même chose’ (said with a Gallic shrug).